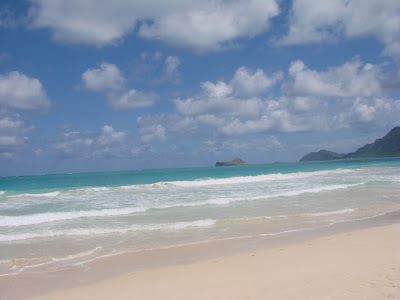 Here is a picture taken at Bellows Beach on a perfect afternoon. Now that the weather is getting warmer here is hoping everybody can get a little more beachtime especially since this is Spring Break. We will be taking a break ourselvs for Prince Kuhio Day and Spring Break and we will see you back in April. Be on the lookout for our around Oahu series. 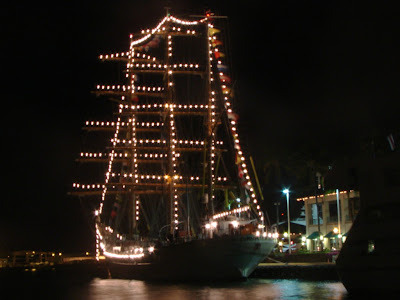 The Cuauhtemoc is all lit up at night providing a nice view to Honolulu Harbor as it is docked at Aloha Tower. After a brief stop the boat will continue on its journey. 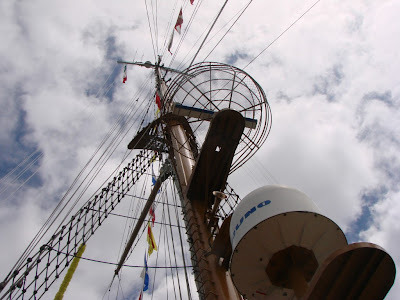 I hope you enjoyed our look at the Cuauhtemoc. Its a long way up too bad sailors weren’t climbing up to their positions in the catbird seat and along the sails. Besides Honolulu it is making other stops in Japan, China, South Korea, Russia and San Francisco.